In the large spectrum of dance shoes, there is very little written about the variety of options available to men. Now that I have gone through enough salsa dance shoe phases, it is time to provide my experience and mini-reviews of the dance shoes I have worn throughout my salsa lifetime. My favorite being the Modern Suede Shoe. An oldie, but still goodie that I found in my salsa collection that some of our new fans of Coldplay and salsa alike may not know about. An anonymous author took the famous Coldplay song "Clocks" and remixed it with a salsa beat to give it a more latin rhythm feel. Listen to it and tell us what you think? If you have ever wanted to learn how to dance salsa, this salsa dance lesson video is the place to start. This video will take you from the basics steps of salsa to knowing how to do right turns, cross body leads with turns and the famous 180 move. Enjoy! ¡Azúcar!, Google Celebrates Celia Cruz's Birthday! In honor of Celia Cruz's 88th birthday, Google and its famous graphic artists decided to mark this special occasion with one of their famous doodles to decorate their main search page. 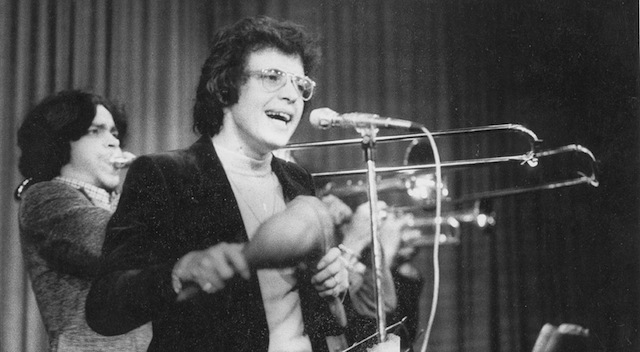 Today, September 30th marks what would have been the 67th birthday of the famous salsa singer and influencer, Hector Lavoe. If you are new to salsa, you will soon learn about this amazing singer and performer. You may have performed or danced to many of his songs when he was with Fania Records back in the golden age of salsa.